Grind Together Fenugreek Seeds, Mustard Seeds, Fennel Seeds, and Dried Red chilies to a coarse Powder. Heat Mustard oil in a pan till it begins to smoke. Add Cumin seeds, onion seeds and saute for 1/2 minute. Add Ginger garlic Paste and saute for 1/2 minute. 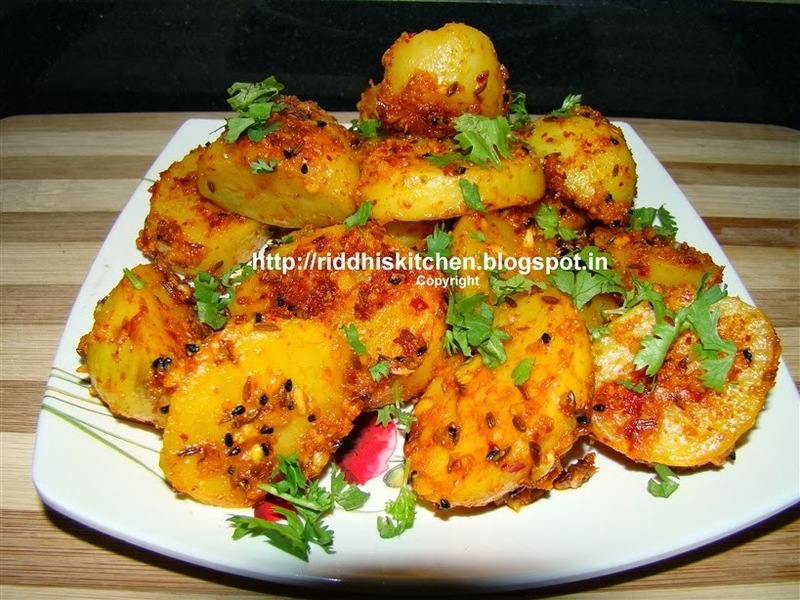 Add turmeric Powder , boiled and peeled potatoes and stir. Add Water and mix well. Add Ground spices, salt and mix well. and cook till dry. Switch off the flame. Add Lemon juice, fresh coriander leaves and mix well .